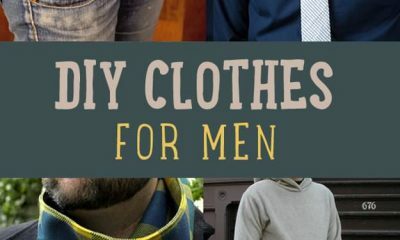 Your outdated, old clothes can be a gold mine for you, and you can wear them again and become stylish– With the 19 clever ways given here! Look! Is it a cape? A shawl? A poncho? No, it’s a. Blanket coat! And not only will you be nice and warm, but you’ll be right on-trend when you make one from a wool blanket that you might already have around the house. This soft, warm and chic DIY sweater cowl will keep you fashionable throughout the fall and winter months. It’s made from an old cardigan and would be perfect for you or a lucky someone on your gift list this holiday season. Visit eHow to read the full post.